Is your cell phone iphone or ipad screen broken, cracked or shattered? Are you thinking about replacing it or buying a new phone? Why not save some money and call Cell Phone Repair Mission Viejo? Are you still using your phone with a cracked screen? You may still have full functionality and you may have gotten used to looking around the cracks. It can be a hazard because the glass can easily come lose and cut you. Many times you will cause more serious damage if you continue to use your phone in that condition. No need to continue to strain your eyes looking around cracks, crazy colors or broken glass. 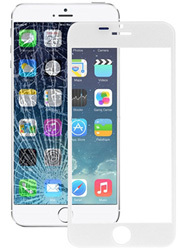 Mission Viejo Cell Phone Repair technicians will diagnose the problem and determine if your screen is broken or just the glass. We let you know exactly what needs to be done to get it back to its original condition. Are you thinking about trying to fix it yourself? It isn't as easy as it looks. The screen doesn't just come off and pop back on. There are several very delicate parts. One wrong move and you could make things worse or even make it impossible to repair. It's best to bring it to a professional repair service.